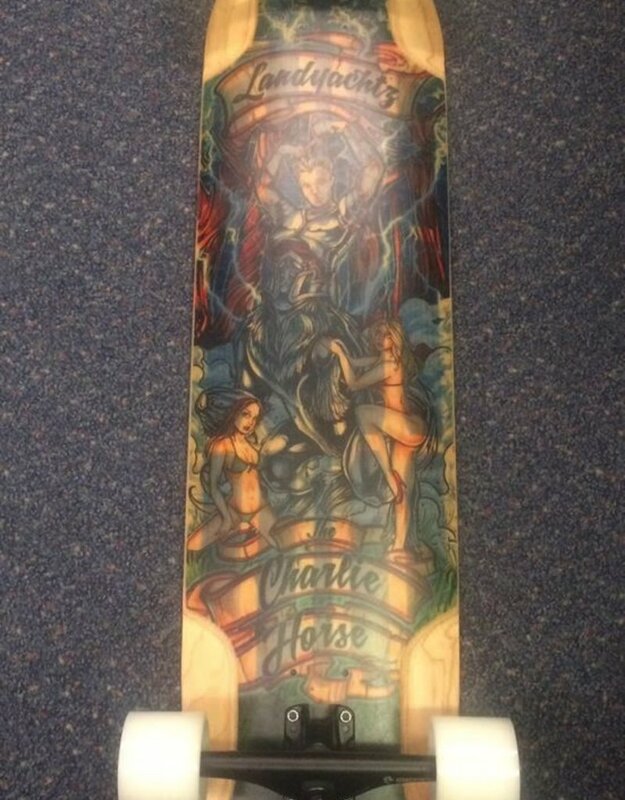 Landyachtz Charlie Horse 9.5" hollowtech downhill freeride longboard skateboard CHARLIE HORSE 9.5" Designed and ridden by team rider Charlie Darragh, the Charlie Horse has everything a simple downhill oriented topmount should have. Deep CNC-cut wheel wells for maximum clearance, multiple wheelbase options to get dialed in your freeride, and the perfect amount of concave with subtle W for maximum performance. If that’s not enough for you, the Hollowtech core keeps the Charlie Horse light as a pony but strong as a Clydesdale. 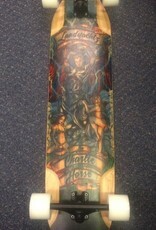 This version features a wider, 9.5" deck for those of you who like a little more room under your feet.